Can you prove your ownership? Do you have contracts to hand? Are you measuring your usage? Are you clear on how your access methods and architecture affect your licence position? Learn more in the latest slide deck from Madora Consulting. 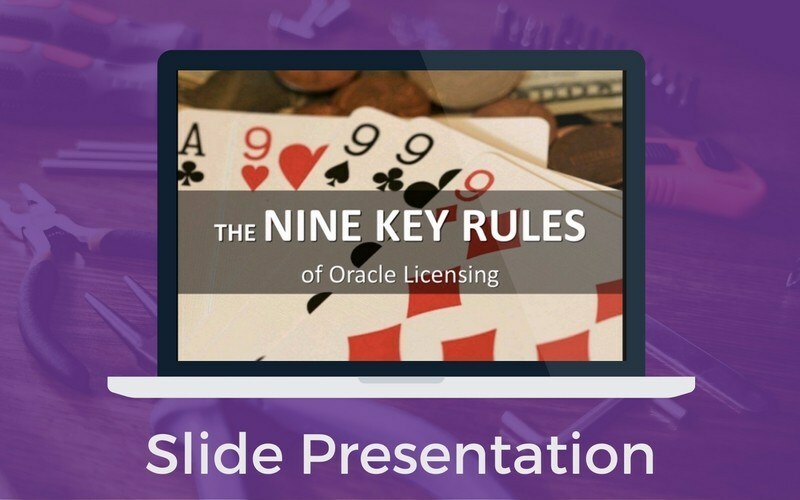 Bringing Clarity to Oracle Licensing. Download the SlideShare to access the notes in the “notes” section.